Dr. Francis Nordmann has 43 years of experience in power plant chemistry. 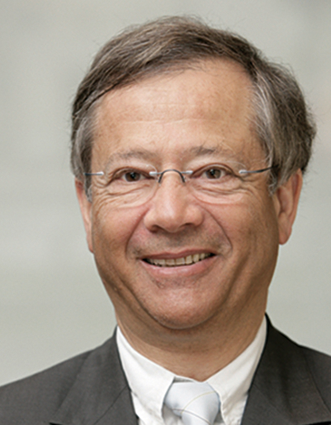 He is retired from Électricité de France (the French Utility) in 2007, where he was an international expert in charge of chemistry and corrosion in the corporate offices. He was in charge of managing the engineering studies for the French fleet of 58 PWR units and of several international programs. His Ph. D degree was obtained at the French Atomic Energy Commission, in connection with the University of Mulhouse in 1973. He also worked for 8 years within the French manufacturer Framatome (now Areva). I studied Chemistry at the Engineer School of Mulhouse, France. Then I got my Ph.D. in 1973 at the French Atomic Energy Commission in Nuclear Chemistry area. I started as an Engineer at Framatome (now Areva) Chemistry and Corrosion Department in 1974, working on chemistry specifications as well as research and development on chemistry and corrosion. I was also in charge of international projects within French and American organisations. Then, in 1983, I joined Électricité de France, the French Utility, to be in charge of international programs with very different countries (in America, Asia, Africa, Eastern and Western Europe), preparation of the first full set of chemistry specifications, engineering studies, technical support to the French fleet of PWR Nuclear Power Plants, steam generator feedback. I organised the International Chemistry Conference in 2002, with over 300 attendees from 32 countries. I also worked in various projects and OSART missions with IAEA (International Atomic Energy Agency). How did you get introduced to ANT International and the LCC-Programme? I was asked by Suat Odar and later by Peter Rudling in 2008, during the International Conference on Chemistry in Berlin to contribute to the LLC Programme. How has the field of Water Chemistry changed during your career and how does the LCC Programme fit in? During the 33 years of my activities with Areva and EDF, Chemistry has permanently focused on dose rates in the primary coolant and steam generator tubing corrosion mitigation. However, now, a number of issues have emerged due to design modification using less cobalt and the progressive use of more resistant steam generator tubing material, Examples of such Issues are: Flow Accelerated corrosion of carbon steels, deposit on fuel (Crud Induced Power Shifts), corrosion products on the secondary side steam generator tubing (heat transfer and tube support plate blockage), operating and maintenance costs decrease, wastes consideration, limited use of condensate polishers have a growing importance. The above mentioned Issues are addressed with an international perspective in the LCC Programme. What do you foresee for the future in the Nuclear Industry? With the increasing challenge of fossil fuel sources and global warming, nuclear energy should see it role increasing. Safety, environmental and economical issues must carefully be taken into account. Thus, optimisation of chemistry treatment selection and system purification need to be drastically optimised. To a variety of activities going from volunteering participation in several associations, listening to music, free coaching of some people in different areas according to their specific situation, and ski (on water and snow). Last but not least; travelling in foreign countries.